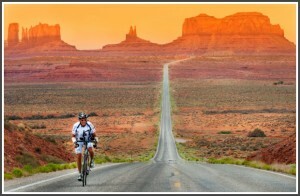 Do you have a favorite cycling photo where a cyclist is captured in a beautiful scenic background? Whether it’s one of your own, or a professional shot that you absolutely love….submit it to us and get in to win. With the availability of some incredible photos shared through all the various social media channels, you’ve no doubt been able to experience amazing cycling photos from all over the world. There are so many great cycling photos circulating around, and I personally love the ones that also capture all the beauty that nature has to share. We want you to share your favorite “Cycling Landscape” photos with us, so be sure to check out the rules and regulations below and be part of this incredible contest. Submission will be accepted between now and March 1, 2012. At that time, the top 5 photos will be selected by my two expert photo buddies (Dan Joder and Alex Molick) along with myself. The selected photos will be posted on March 7th and the voting will begin. The person who submitted the photo that receives the most votes, will win our Grand Prize. 3rd, 4th, and 5th – Receive an 8 x 10 print of their submitted photo. 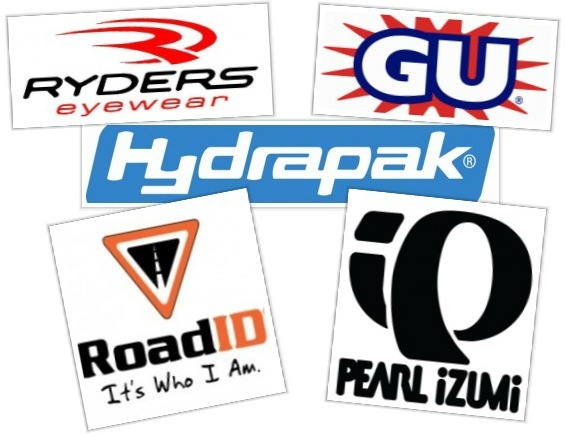 Big thanks go out to Alex Molick of Capture Colorado Photography for supplying the prints going out to our winners, and to Ryders Eyewear, GU, Pearl Izumi, Road ID, Hydrapak, and Outside PR for their support as well. All photos must include a bike (any kind of bike) and what you feel is an incredible scenic backdrop. Duh. Photo can be taken using any kind of camera. Photos can be personal shots taken by you or someone you know (please give photo credit by including photographers full name). Photos can also be professional photos, but in this case you must be sure there are no copyright restrictions and must include the name of the photographer and a link to where you found the photo. Only one submission will be accepted per person, so be sure to choose wisely and select your absolute favorite. Feel free to use any type of post-process editing to help give the photos a little something extra. Make sure the photos you submit are of descent resolution. The higher the resolution the better, but anything over 700 or 800px wide would be great. Other sizes will be accepted as well. Photos must be submitted by Midnight EST on March 1, 2012. We welcome submissions from all over the world, but only able to submit winning prizes to those located in North America. We’ll see what we can come up with for any international finalists. Only photos and submissions that meet these rules and regulations will be considered. Submissions can be made by e-mailing them to darryl@lovingthebike.com. Remember that photos must be submitted by Midnight EST on March 1, 2012 to be considered. #VeloThursday on Google+: If you love great cycling photos, be sure to check out the #VeloThursday Google+ site that was put together by James from Bicycle Design. Can the submission only be viewed on facebook? The photos can be viewed in our contest folder on Facebook. Once the top five photos are selected by our judges we will post those on the website for the voting round. That will happen next week. Thanks Jennifer, I need to have a look at what’s happening on Facebook. In the past people could always post pictures to the fanpage but now it doesn’t seem to be working. The settings are right to keep it working, but for now just e-mailing in the photos is best.